“They’ve outdone themselves with the decorations,” said Frau B. Word had it that some of the carers in Wohnbereich 4 had been up since 4 o’clock in the morning. The dining hall had been transformed into a winter wonderland, with baubles, fir tree branches and paper stars adorning the tables and walls. Someone even had the genius idea of hanging cotton buds from the ceiling to resemble a snow scene. Most of the residents had dressed for the occasion. Frau B had on a navy jacket she’d sewn for herself at the age of 85. On it, she’d pinned a sparkling turquoise brooch. She’d had her hair done too. The hired entertainer, an earnest man in a questionable cloud-patterned shirt, led the Christmas carol-sing-along. I heard Frau B join in to Stille Nacht. The lady next to me, who had been whimpering in distress only moments before, began clapping her hands on the table in delight as she hummed along pitch-perfect to the music. After we had polished off our Stollen (Frau B thought it was sub-par) and the entertainer concluded his festive repertoire, it was time for the exchange of presents. 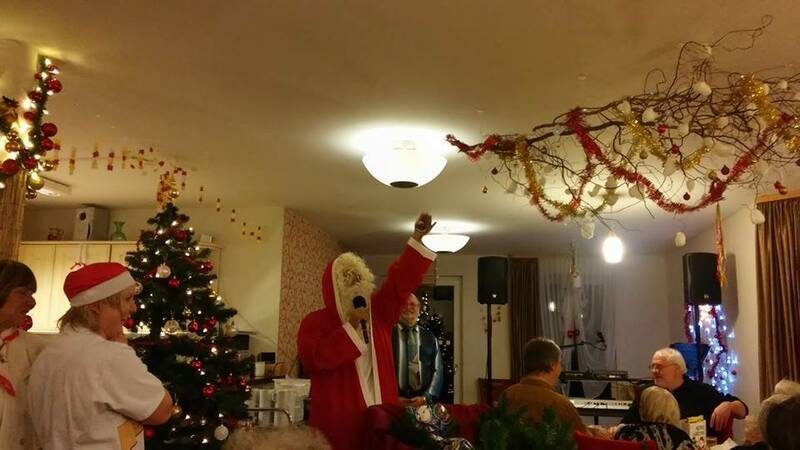 A carer in a Santa costume appeared on a sleigh carting presents for the residents. “Ho, ho, ho Frohe Weihnachten, liebe Einwohner,” he said, enlisting the help of his colleague, whom he referred to as “mein Engel,” to distribute the gifts. From observing those around us, we figured out fairly fast that Frau B was likely to get either a large animal-shaped heat cushion or a desk calendar. We had arranged earlier that we would exchange our gifts privately. This was after all, only the nursing home party, not our own. 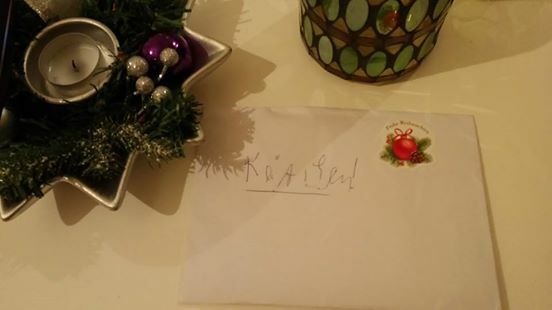 She made me promise I wouldn’t open it until I’m back in Ireland on Christmas Eve. I handed Frau P a bag containing an assortment of perishable gifts. The hamper included a slice of mackerel, two bottles of Berliner Kindl beer, a box of Lindt chocolates and some organic (it is Christmas, after all) apples. She told me to hide the beer at the back of the cupboard. “I’m not going to drink it alone,” she said. I took that as an invitation for a beer date in the new year. Back in the quietness of the room, I asked Frau B how she had been feeling this week. We looked at each other for a long time. And then it passed and she asked me who I honestly thought was the most attractive resident in Wohnbereich 4.